WordPress thumbnail regeneration plugins are the essential element to redecorate a website accurately. Changing the website look is a common activity. Any website owner or blogger may want to redesign their website in shake off making that more professional and look stunning. In that case, they have to go with a new theme. But changing a theme could lead to some temporary issues. Among them, thumbnail size mismatch with the new theme is the most common fact. After uploading an image, WordPress generates different sizes of the same image including the thumbnail. But when we change the existing theme, the predefined thumbnail size may also be changed. Therefore, there will be no problem for newly uploaded images, but old thumbnail images may mismatch with the new theme. Using any regenerate thumbnail plugins can resolve the issue without any hesitation. Another important thing is, you can uninstall this kind of plugin after its job goes successfully. It is not required to keep this plugin active like others. In today’s post, I am going to list all the latest and most popular WordPress plugins to regenerate thumbnail images. Regenerate thumbnails plugin targets your WordPress media library and regenerates all existing images within a very short time. Perhaps, there are many regenerate thumbnail plugins out there, but they come up with various issues. Many of them may not work well. In most of the cases, I have seen some plugins work for a limited number of images only. But this one will go well for all of your existing images. You will find this thumbnail regeneration plugin helpful for not only changing the theme but also for changing the default thumbnail size from WordPress settings -> media. Also, if you wish to add a new thumbnail size and replace all the old images dimensions, you could do it from the settings page. Moreover, if you need to clean your WordPress media library for unused images or thumbnail, this plugin could do it by detecting them and allow you to delete them. “Regenerate Thumbnails Advanced” is a fully updated and most advanced regenerate thumbnail plugin for WordPress. It works great with any newly installed WordPress themes. It can smoothly regenerate thumbnails for different image sizes without losing image quality. Therefore you don’t have to be the worry for existing image thumbnails. Also, this plugin will detect all old unused thumbnails and remove those automatically to save disk space. Also, you will get a complete report on how many images are in the process queue, how many are causing errors and a progress bar will notify you about how much work done through percentage. Finally, I can say it is one of the most useful regenerate thumbnail plugins among all. Although WP Thumbnails Regenerator is pretty new, this thumbnail plugin has some handy features. Indeed, the most attractive thing I found about this plugin is, it will not run from your server. It works from the cloud. Therefore, the plugin can process a large number of images within a very short time. The overall performance of this plugin is 100 times better than any other regenerate thumbnail plugins. Moreover, it doesn’t need any signup or API usages. You can install and start regenerating images after installing the plugin. It is known to all that, this kind of plugin does a server intensive job. For this reason, many as usual plugin could not complete the task at once. If you try to regenerate thumbnails multiple time, the CPU usages of your web server will reach to the pick point which may cause temporary suspend of your web hosting account. In my opinion, you should keep all of these risks away by using this simple and lightweight regenerate thumbnail plugin. Well, this is another beautiful WordPress thumbnail plugin which could perform the role of a thumbnail regenerator. More precisely, you can say, this plugin helps to resize your featured images or post thumbnails automatically from your posts Whenever you are going to open a page or post from your website, this plugin will automatically resize all the images of that post or page in a base size. Though it functioned to resize all the images of your website after installation, yet a user-friendly plugin for your theme. So, it reduces your workload by executing the thumbnail resizing task. Even, all the resized images keep in the same size that you haven’t to work manually to do the customization to get them in the same size. Finally, this plugin keeps the original record of images that used on your website before installing the plugin for future references. Isn’t this sound great? Another powerful plugin on the list! This is a feature-rich WordPress plugin aims to generate thumbnails from the post, external links and RSS feeds. It also performs by generating thumbnail if there any video embeds on the post. Generally, it creates a thumbnail of the featured image by extracting the first image of any post or page. On the other hand, if there is no featured image set with the post, this plugin will generate a thumbnail from the first attached image it founds. Also, able to compile default featured image if there is no featured image available. Assume that, sometimes, you might not want to have a thumbnail for several posts on your site. In that case, this plugin allows you to do that by adding some custom field on the post setting page, and this plugin will stop generating the thumbnail from the post. You will notice that a Gen. Post Thumbnail, a new menu item, is being added under the tool s menu at the end of the installation process. Though there is a pro version of this plugin available, yet you could get these free features I’ve already discussed. Moreover, get some idea of the pro version of this plugin by going to the official site link given below. In this phase of listing, we have a small yet powerful WordPress thumbnail regenerate plugin which can extract image thumbnail from the UpdraftPlus backup. Although, this is an open source software but has strong usage as a WordPress plugin. You can restore the original and full-sized images, which are available on the backup, with the help of this plugin by thumbnail regeneration option. Moreover, you can compress the images by reducing the data size along with keeping the resolution the same. The good news is, this image resizing method works for all types of image which comes with the theme and plugin. If you want to enhance the beauty of your WordPress website by displaying the post feature image as the thumbnail, you must go with the Thumbnail WordPress plugin. This image thumbnail regeneration plugin works in the better way to regenerate thumbnail from the post of any sized feature image. In most of the case, the WordPress users customize their thumbnail for different sizes, but WordPress doesn’t allow regenerating thumbnails which are of different sizes. On the other hand, you could say, not all the thumbnail regenerate plugins supports all kind of thumbnail version as well as big size images to process. In that case, this plugin works like a magician. It generates the right kind of thumbnail which is perfect in dimension without any stress. This plugin has the function to collect the featured image from the post that doesn’t have any image. Though the thumbnail ordinarily used for galleries, you can make changes to get the core sizes. You could optimize your gallery from the media setting panel to get the pretty size for your thumbnail. It’s an open source software which is highly using as a WordPress plugin for creating a square shape thumbnail from images. This plugin process square thumbnail by cropping images and probably use for setting up background images in CSS. It’s a lightweight plugin which has the core feature to convert all sizes images to the square thumbnail of the post pages automatically after completing the installation phase. Indeed, if you run any regenerate thumbnail plugin on your site, it will manually extract your all images and convert those into square thumbnails. Moreover, you could use no cropping feature by enabling the “Hard Crop” option if you use Woocommerce site. It’s fabulous! 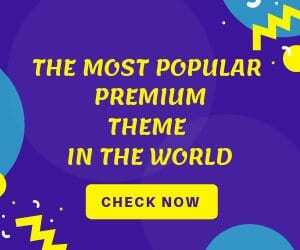 Here is one of the most powerful and well-designed WordPress regenerate plugins that serve WordPress users to regenerate thumbnails when they modify the theme of their sites. It matters when you change the media size of your posts or pages of your WordPress site. In this instance, you must go for the regenerate option to get new thumbnails. Generally, regenerate plugins collect the images from the post and regenerate the thumbnail, but post images remain unchanged. It could lead your website health to be in danger rapidly. In this case, this plugin comes to play a significant role by regenerating HTML for the thumbnails or images that are using on the site content. It’s better to use tools like media cleaner on your site to find out the useless files and make your database clean. One more curtail things you must follow is to backup your database before using this plugin. The reason is, this plugin only modifies your database, not the file. Dynamic thumbnails can be used for generating the only thumbnail from the right kind of images that worthy of the site. Usually, this plugin doesn’t allow generating the thumbnail from those images which haven’t the required dimension or doesn’t have the matching facts as well as theme or plugin registered images. In case, it allows them to generate thumbnails gradually when it needed. Moreover, when you change the theme to a new one, usually the image size ratio changes automatically. Here, this plugin helps to produce thumbnail by choosing the closer dimensional image from the site. Even, it sometimes picks up the full-size image which mostly decent to your page. I might say, this is a smart plugin! Finally, this plugin shows timeout option on a shared server if you have tons of images on your site. Though, this is a single WordPress plugin but could perform many ethical tasks such as image size optimization, Thumb regeneration, creating watermarks and building CSS filters and animations. So, we can say this is a multi-functional plugin for WordPress sites. This WordPress plugin for generating thumbnail images manages to keep the thumb sizes to maintain as Custom size, but you could execute them with the different size as it allows unlimited sizes for thumbnails. If you want to create the thumbnail by cropping, this plugin will enable you to do. While it comes to manage your thumb size which generated from the theme or your site update, this plugin saves it automatically. Moreover, you could use these updated images to get regenerated thumbnail by one click of your mouse. This plugin holds the entire custom sized thumbnails on the WP media which you can select with your needs. Else more, you get custom CSS filter option to add custom CSS animation for the regenerated thumbnails and also able to add watermark on the images you want. 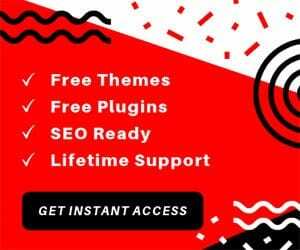 Get this feature rich plugin for only $24 and it worth it. This is one of the fastest WordPress regenerate thumbnail plugins which could create thumbnails faster than any other regenerate plugins. The features it includes are mind-blowing, and the advanced regenerate option takes you to another level of creating your thumbnails. By selecting your existing thumbnails from the media library, you can regenerate them within one click. You are also able to display your thumbnail as a table or grid view on the media library. Moreover, custom upload structure for thumbnail option is included on the plugin to ease up your work. Pretend that, you have changed the WordPress theme and don’t need the old media library images or thumbnails. In this case, this plugin could help you by detecting the unused or unnecessary media files or thumbnails from your media library, and you would be able to select them and delete them. Moreover, you could choose single, or bulk thumbnail regenerate option from the media library and get the new auto-generated thumbnails for your post. Also, you could set actions for image size structure, custom thumbnail upload structure and whole media functionality with this plugin. This tremendous plugin only cost $16 isn’t it inexpensive? Any Other WordPress Thumbnail Generator Plugin? We have covered the 12 best regenerate plugins for WordPress users in this post. All of these plugins are up to date with all major updates of WordPress and usable on the latest version of WordPress. If you find any of these plugins useful for your website, please, feel free to share with us on the comment section. Also, you could share this post on your social media sites, so your friends could also find this list helpful. If you have any other updated regenerate plugin in your mind, please share with us. I will include that in my post.